Game on… it’s the big one… Six Nations 2017… Wales versus England… on the green, green grass of our fertile home. A match like no other. The daffodil versus the rose. The ultimate patriotic symbol, the daffodil is a talisman for Welsh rugby fans who are being urged to take part in the ‘Great Daff Giveaway’ in the build-up to the most iconic match of the home international season. Welsh fresh produce brand Blas y Tir has been supplying the daffodils to the nation for 10 years – that’s 1.8 million homegrown bunches – and in celebration will be giving away 10,000 daffodils to rugby fans before next Saturday’s (February 11th) Wales v England crunch-match at the Principality Stadium in Cardiff. “Not only are the flowers a sign of spring, but they are also said to bring luck, so we hope we’re bringing luck to the Welsh team this match day!” says Huw Thomas from Haverfordwest-based Blas y Tir. The titanic sporting occasion also kick-starts Blas y Tir’s own campaign to reach the 2 million-bunch mark in 2017. “This is a huge milestone for us, and this giveaway is a thank you for the support given to us by the Welsh public, who continue to buy Blas y Tir Welsh produce and support our Welsh farmers. The Blas y Tir team will be out in force in Westgate Street from 12pm on match day handing out thousands of free daffodils to Welsh rugby fans along with pins to proudly fix the blooms to their shirts. Blas y Tir daffodils are now available in Welsh Asda and Morrisons stores. 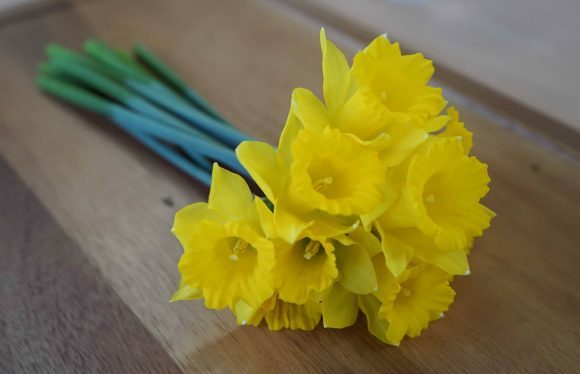 Free Blas y Tir daffodils will be handed to Welsh rugby fans in Cardiff next Saturday (February 11th) when Wales play England at the Principality Stadium. Blas y Tir is looking to hit the milestone of 2 million bunches of daffodils in 2017. Haverfordwest based Puffin Produce Ltd evolved from the Pembrokeshire Potato Marketing Group, a grower’s co-operative formed in the 1970s. 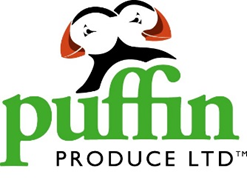 Puffin Produce was created in 1995 and has remained true to its collective roots being fully owned by its Welsh growers. In recent years the company has experienced rapid growth in both market share and facilities. With Welsh Government and European Union support some £12.5 million in capital expenditure has been invested in the company, leading to 200% growth and staff numbers increasing from 50 to 125. The company’s ‘Blas y Tir’ (Taste of the Land) brand was launched in 2011 in response to demand from Welsh shoppers and retailers. Targeted marketing has seen the ‘Blas y Tir’ brand achieve retail sales value in excess of £12 million per annum in the space of three years. While in December 2013 the company secured the prestigious Protected Geographical Indication (PGI) status for Pembrokeshire Early Potatoes giving the iconic potato European-wide legal protection. Now available in most multiple retailers in Wales the brand encompasses a range of potatoes including PGI Pembrokeshire Earlies, aptly named Rudolph potatoes, and seasonal produce such as leeks, savoy cabbage, cauliflower, spring onions and daffodils. Puffin Produce have been growing daffodils since 2007, marking 10 years in 2017. 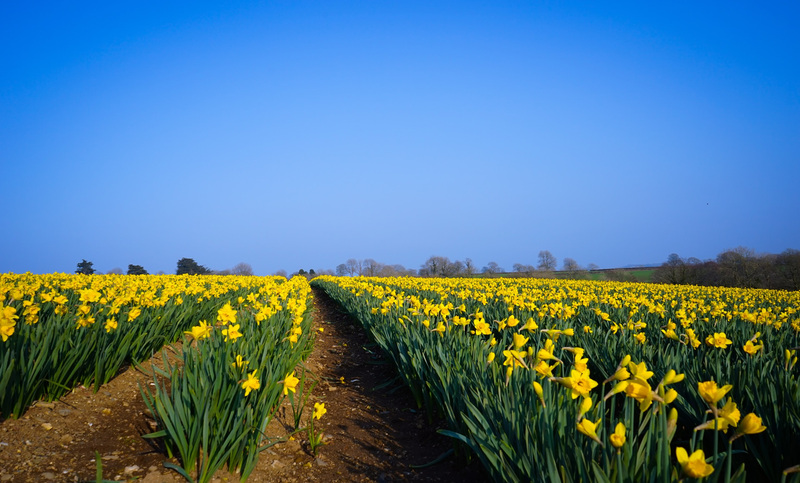 As well as being grown in Pembrokeshire, Blas y Tir daffodils are now being grown in North Wales as part of plans to expand the supply of Welsh daffodils to retailers over the coming years. 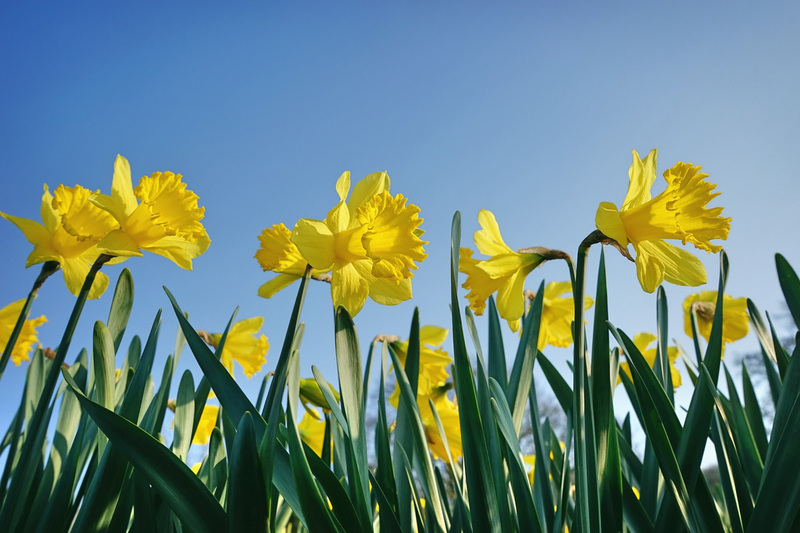 Over 1.8 million bunches of daffodils have been sold over the past decade, with the number expected to exceed 2 million this year.